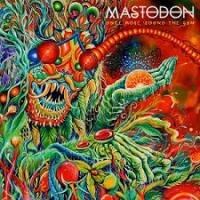 Mastodon's Once More 'Round the Sun condenses the prog of Crack the Skye into the structures and trademarks of hard rock. It's now accepted as standard practice that once a band adored by the underground moves to a major label and reaps greater opportunities and rewards, those who have followed them up to that point are liable to lose interest, or – more aggressively – lambast the band at every chance through every social media medium available. The general ins and outs of this phenomenon deserve greater discussion at another time, but for Atlanta, Georgia's Mastodon, the negativity from old followers seems to be growing greater since the primarily straight-forward -- well, straight-forward for Mastodon -- hard rock of their third major label record, 2011’s The Hunter. In saying that, ever since Leviathan’s massive impact cracked the glass-ceiling and brought Mastodon’s then-progressive and complex conceptual metal into mainstream consciousness in 2004, some corners have turned on the band and questioned their motivations. This reaction has come despite the fact that Leviathan’s follow-up and the band’s major label debut, 2006’s Blood Mountain, contained some pretty off-the-wall ideas (for example, see: “Bladecatcher”) and a concept worthy of ’70 progressive rock, which the four-piece band comprised of Brent Hinds (guitars), Bill Kelliher (guitars), Troy Sanders (bass), and Brann Dailor (drums) took to another cosmos in terms of conceptual scope and progressive rock influences on the magnificent Crack the Skye in 2009. So, it’s no surprise that when Mastodon released The Hunter, an album untethered to a thematic base with its emphasis on scaling back the complexity -- especially Dailor’s fill-frenzy drumming -- in favour of more traditional verse/chorus structures, that fans of their early barbaric onslaught on the cult classic Remission (2002) would tune out. Of course, this is the usual course of action when a band makes stylistic changes, the effects of which are palatable enough to appeal to a wider audience outside of metal’s underground, and you can’t blame those who love extreme metal for having lost interest in Mastodon’s music. Sometimes bands change course and consequentially they no longer appeal to your tastes. However, to criticise Mastodon just because you no longer connect with what they are currently creating is rather ridiculous. Instead, any criticism of the band’s creative output must be supported by evidence of why it’s not good, and not just because it just doesn’t reflect the heavier side of their sound and what you unrealistically expect from a band whose relationship with the extreme metal scene has been evidently fractured for years. Therefore, if you’re hoping for some aural blitzkriegs similar to “Crusher Destroyer” and “Mother Puncher” on Mastodon’s new album, Once More ‘Round the Sun, you’ll be sorely disappointed, because, as expected, this album naturally follows on from The Hunter. However, while The Hunter, a transitional album of sorts, offered tasters of the different sides of Mastodon’s past while setting up their future endeavours all at the expense of cohesion, Once More ‘Round the Sun is much more musically uniform. Additionally, it is quite understated for the first couple of spins when compared to the statement albums Mastodon have released in the past. But what you’ll soon notice from the music is that this album condenses the prog of Crack the Skye into the structures and trademarks of hard/alternative rock, proving itself to be, stylistically, the contemporary rock brethren of their 2009 prog masterpiece. “The Motherload” and the other track in which Dailor really sets the chorus alight, “Ember City” -- a musically upbeat number in interesting contrast with its poignant lyrics (“Someone’s always left behind / When the door of life closes / And you were slipping away”) -- are the most immediate on the album. That’s why it’s odd that the band chose “High Road” as the first single, because it is a terrible representation of the album overall and the weakest track by far. “High Road” stands out glaringly and bears little resemblance to the rest of the album, except for the instrumental passages prior to the final chorus, a chorus Dailor struggles to convert into the arms-in-the-arms sing-along the band were hoping for. Instead it sounds like it was picked off the cutting-room floor after the writing sessions for The Hunter; the monochrome Melvins-aping verse riffs over which Sanders bellows, never gels with the failed chorus. “Once More ‘Round the Sun” is evidently one of the more lyrically confrontational songs (Also see: “Halloween”) on an album with a running theme centred on the inevitable: death. The weighty subject matter is unsheltered here by the fantastical metaphors/concepts of the past, and by simplifying the lyrics, Mastodon’s music has a more direct and personal connection with the listener than ever before, thus transcending what they attempted on The Hunter. The album’s dark climax, “Diamond in the Witch House”, the most metallic song off the album and the one which houses the perennial guest vocals of Scott Kelly (Neurosis, Corrections House), proves to be a definite highlight. “Diamond in the Witch House’s" Neurosis-doom together with the lyrical imagery that has fed Mastodon’s past -- fire, earth, water, air -- coalesce to form an elemental ending that wipes clean any light-heartedness remaining from the previous catchy choruses, or the divisive tribute to Faith No More’s “Be Aggressive”: “Aunt Lisa” (female backing vocals by the Coat Hangers). As a whole, there is a depth of pain and loss beneath the intertwined layers of riffs, turbulent rhythms, addictive vocal hooks, lyrics, and searing solos of Once More ‘Round the Sun. With “The Motherload” and “Asleep in the Deep” being a massive achievement for Hinds, who has finally defined his own soloing style. Yet it’s safe to say that Once More ‘Round the Sun doesn’t have any real surprises in store for the seasoned Mastodon fan, nor will it change the opinions of those who lost interest in the band when they stopped screaming and Dailor simplified his drumming to suit the cadence of the music. But because the wealth of emotional depth is brought to the forefront and propelled by the inner workings of Mastodon’s almost-perfected prog-as-hard-rock paradigm, this album really is an interesting development for the band. Indeed, when compared to the band's previous stratospheric evolutions, its substance may be just as important to the tale of Mastodon when the inevitable is written, hopefully decades into the future and many albums later from one of the best bands, regardless of genre, roaming the earth at present.